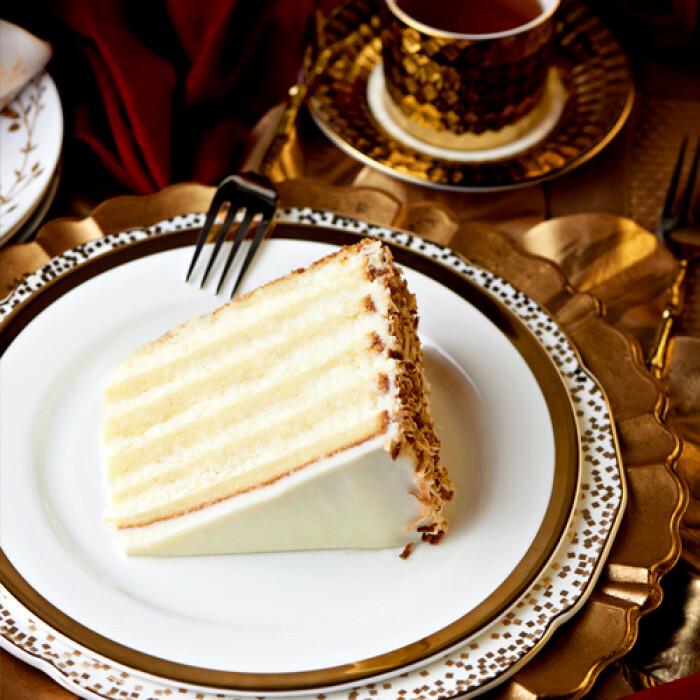 Treat yourself or someone special to the cake Chef Bobby Flay calls "the best cake in America." 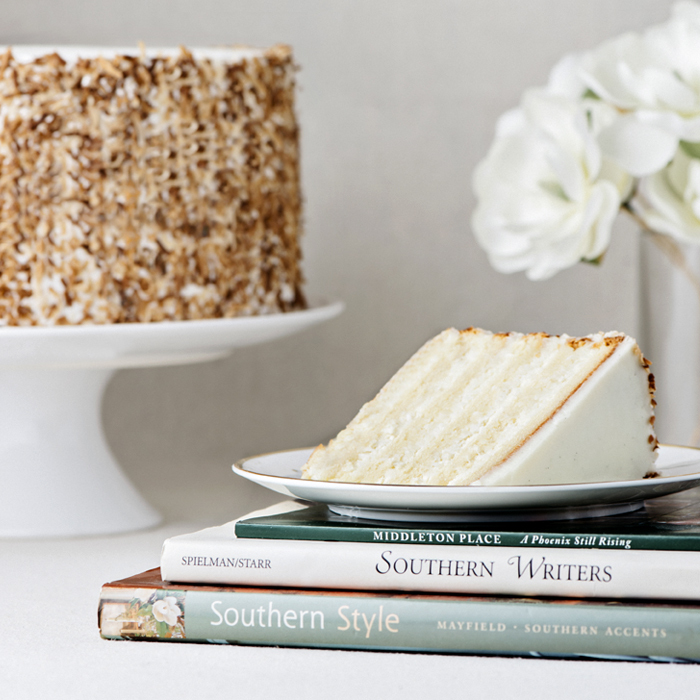 We bake every 12-layer cake from scratch in Charleston, South Carolina, and we ship entire cakes to homes and businesses across the United States every day except Sunday. SHIPPING SCHEDULE: Order before 2 p.m. Monday - Friday and your cake will be delivered the following day. 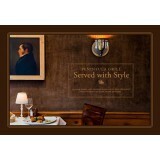 Orders received after 2 p.m. Monday - Thursday will be shipped the following day and delivered two days later. ADVANCE ORDERS: Place your order now and indicate your requested delivery date below. 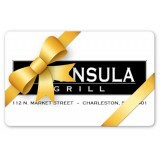 LOCAL CHARLESTON PICK-UP ORDERS: Please call (843) 723-0700 to schedule pick-up. 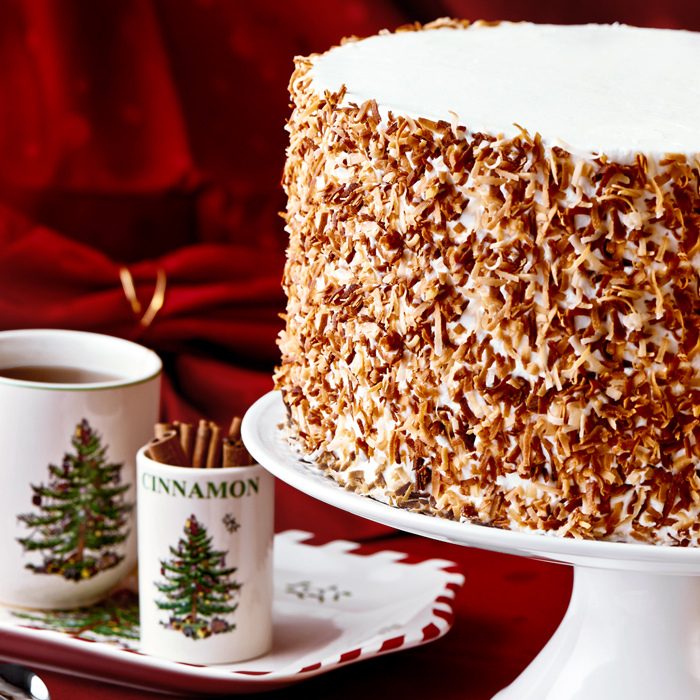 A towering triumph of fresh coconut and vanilla, the show-stopping Ultimate Coconut Cake serves 16 happy people. It tastes best when served at room temperature! 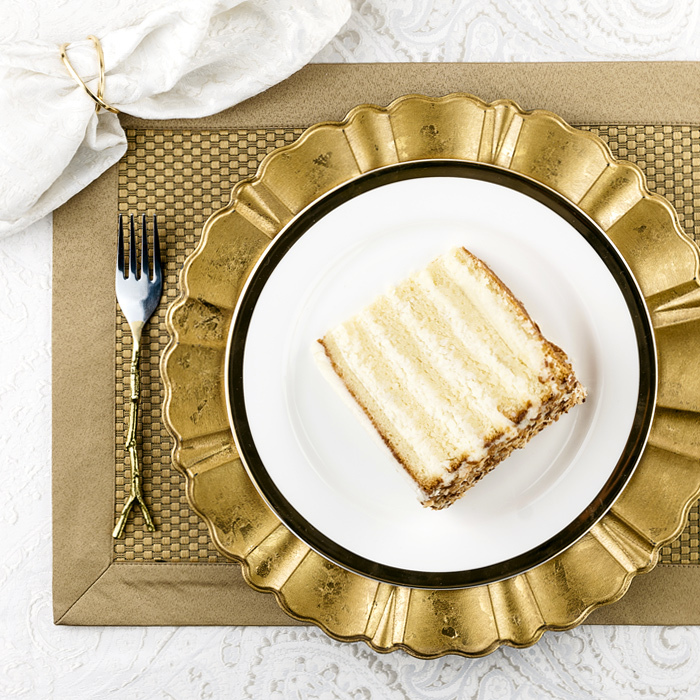 We recommend taking the cake out of the refrigerator several hours before serving. 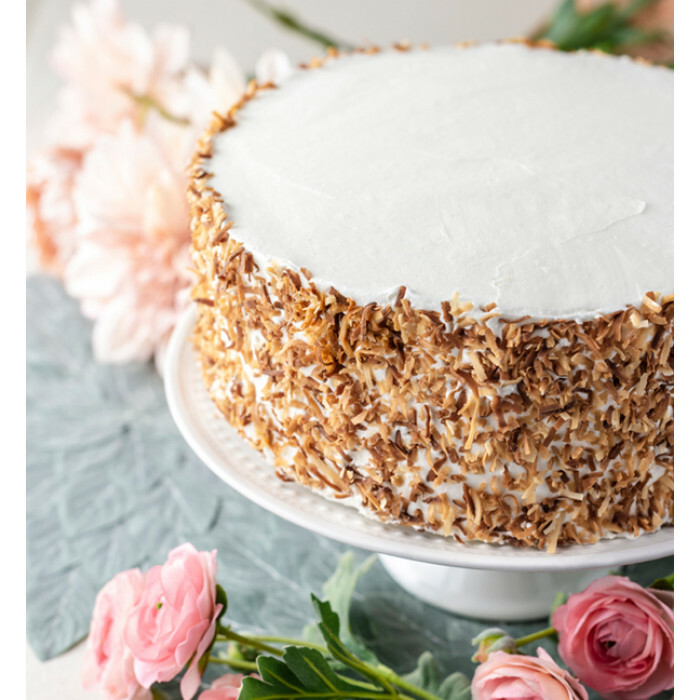 The Ultimate Coconut Cake will remain fresh for one week when refrigerated, or you may store it in the freezer for up to four months. 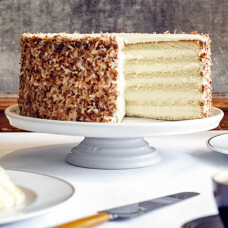 “Striped with fluffy cream cheese icing and enveloped in freshly toasted coconut, this mile-high 12-layer cake ships across the country and serves 16 grateful guests." 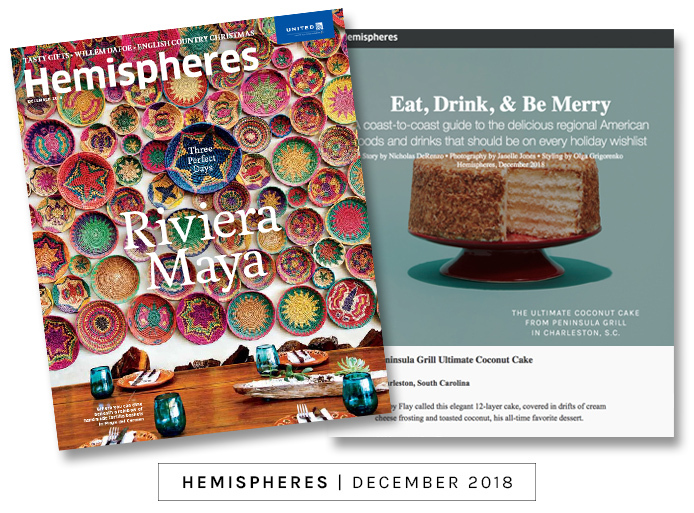 “Don’t miss the decadent coconut cake served at the hotel’s Peninsula Grill restaurant… so beloved that it's shipped across the country. "If the city could give a key to a cake, they might bestow the honor upon the Ultimate Coconut Cake at the Peninsula Grill." 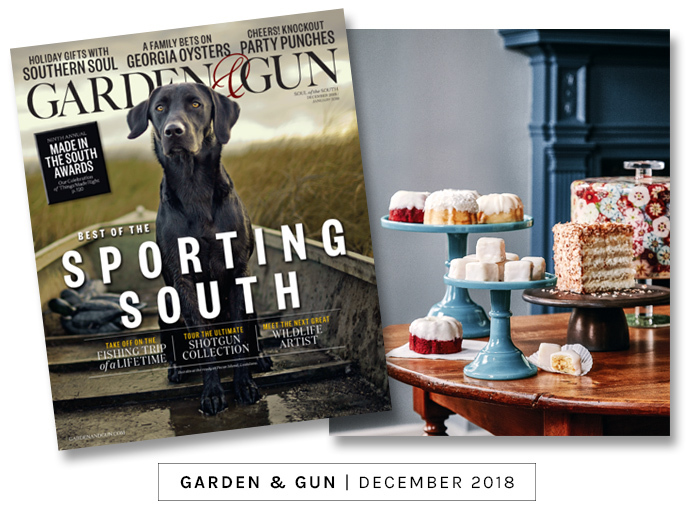 “"a notoriously good 12-layer coconut cake"
“This romantic restaurant is as beautiful inside as it is outside, with palmetto-lined, shaded outdoor courtyard dining and flickering lantern lighting. Peninsula Grill is an ideal date night destination, even if you've already dined elsewhere in the area and are looking only for dessert. 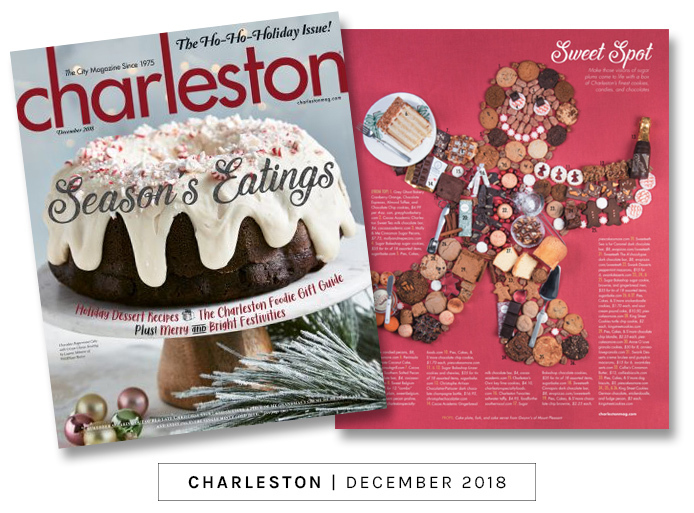 Good Morning America hosts Lara Spencer and Amy Robach both pick Charleston, S.C., as their "Favorite Place in America" with Lara saying that "No meal is complete" without the Peninsula Grill Ultimate Coconut Cake. Click Here to view the tv clip. IMPORTANT NOTE ABOUT SHIPPING: Overnight shipping is available within the continental United States only. 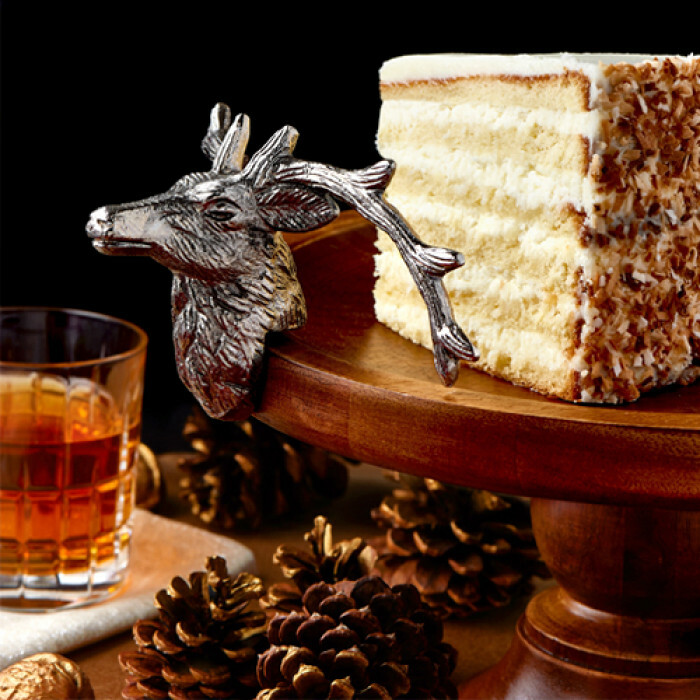 Cakes shipped to Alaska and Hawaii will be shipped by 2-day shipping. 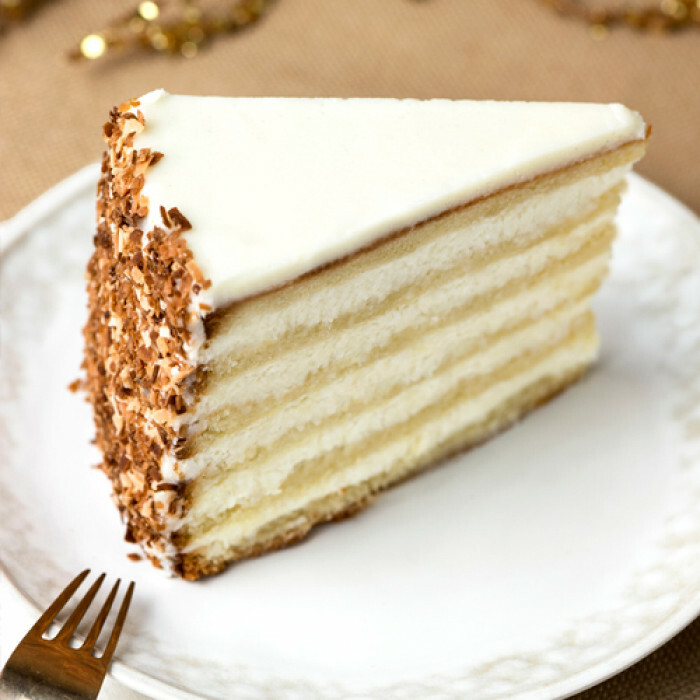 Ultimate Coconut Cake orders are processed Monday through Friday, excluding legal holidays. To determine when you will receive your shipment, please refer to the charts below. 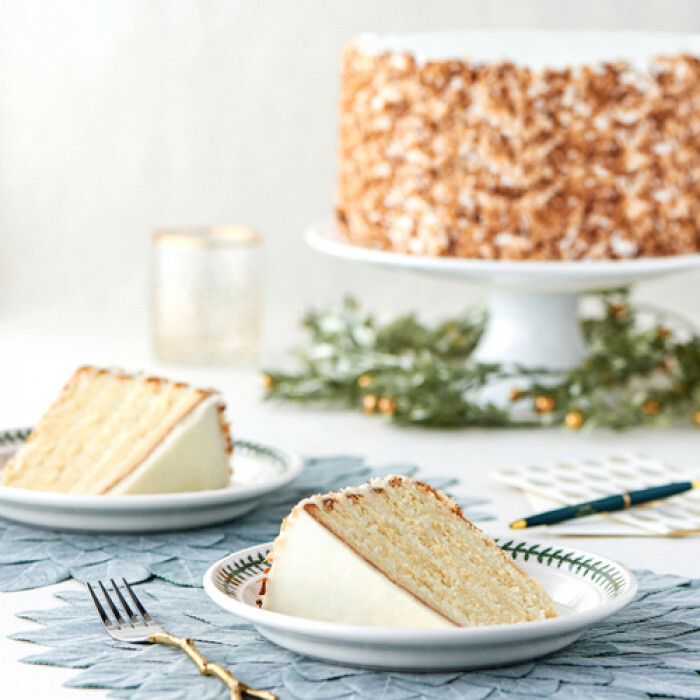 We are unable to ship or deliver on legal holidays; therefore, please order your Ultimate Coconut Cake in advance and schedule delivery in advance of the holiday.